Live an authentic Italian cooking experience: cooking classes and culinary holidays with accommodation, cooking lessons and gastronomic tours! 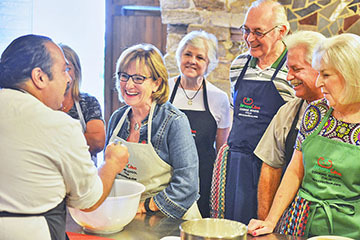 Our cooking classes are held in the village of Carunchio, in Palazzo Tour D’Eau‘s exclusive cooking demonstration kitchen, with small groups of participants. Each participant has their own space to work in while participating in the demonstrations. Fun, family, and friendship are emphasized as you watch, try for yourself, discuss, and sip wines from the Palazzo Tour D’Eau cellars. Our guide in the kitchen is the talented and experienced Cheryle Molino. 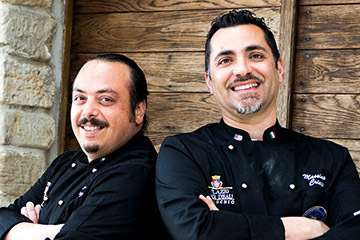 Some of the exquisite dessert recipes will also be taught by Dino, Palazzo Tour d’Eau’s chef. A food tour in Italy with Abruzzo Cibus means hands-on cooking lessons where you learn to make regional specialties and traditional Italian dishes. Cooking classes are held by professional chefs whose professional cooking style will provide you with an overall picture of the italian traditional cuisine. Palazzo Tour D’Eau, as it was originally named, has recently been restored from its once forlorn state to what was likely its original external appearance, with every modern amenity on the inside. 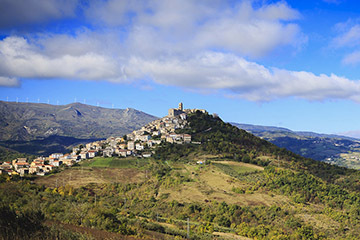 Carunchio is noted in history as far back as 1000 AD. 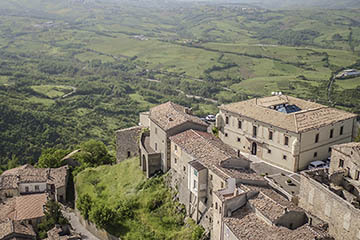 It is now listed among the “100 Most Beautiful Villages in Italy” because of the beauty of its spectacular location and its architectural quaintness.